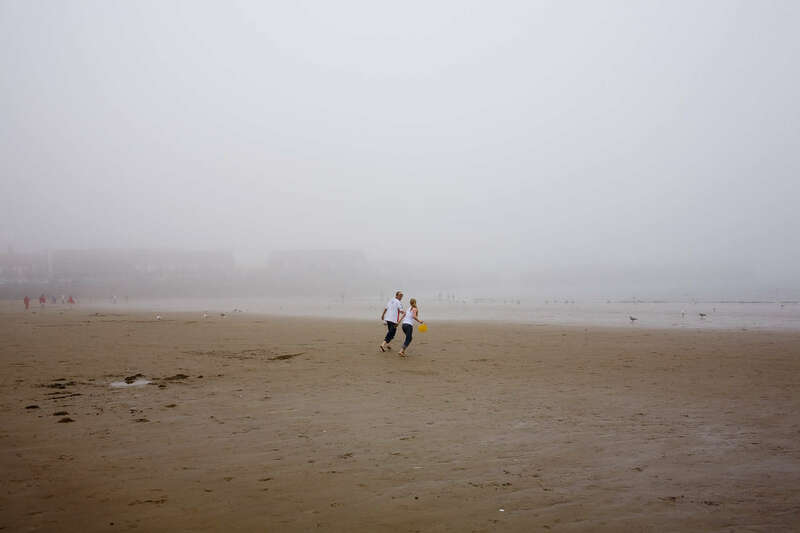 A young couple carrying a yellow bucket between them run towards the sea on a misty Scarborough beach. The Scarborough is a town on the North Sea coast of North Yorkshire that dates back to around 966AD. With a population of about 50000 Scarborough is the largest holiday resort on the Yorkshire coast. It is home to residential communities, business, fishing and service industries plua a growing digital and creative economy.